There was total tragedy in Mpape community, in the Bwari area of Abuja when at least five children were reportedly burnt to death after fire gutted their apartment. A tragic inferno which occurred in Mpape community, in the Bwari area of the Federal Capital Territory, Abuja, have seen at least five children burnt to death after fire gutted their apartment on Saturday. According to a report by Punch Metro, there were sparks on the electric cables in the area after power was restored by the Abuja Electricity Distribution Company (AEDC) which triggered a fire, and ravaged the victims’ parents apartment. It was learnt that the children were said to have been trapped in the house and burnt to death, as residents said they could not save them because there was no water in the community. While speaking to a correspondent, Alhaji Abubakar Gimba, who is the district head of the community, disclosed that before the children could be brought out, they were already dead. “We rushed to see how we could put out the fire, but before we could do that, the five children were already dead,” he said. The spokesperson for the AEDC, Ahmed Shekarau, said some officials of the company had gone on a fact-finding mission to ascertain the true cause of the fire, adding that a resident informed the firm about the fire. “At the moment, we have sent our team to investigate and they have yet to report back to us. Yes, some people said the fire started after power was restored, but others said the fire started from the generator. “It was just this morning that our attention was called to it by a resident of the community who attended a safety sensitisation campaign we organised last week. “We are surprised they just told us. When we get a preliminary report, and it shows it has something to do with electricity, we will have to set up another committee to find out why it happened,” he said. 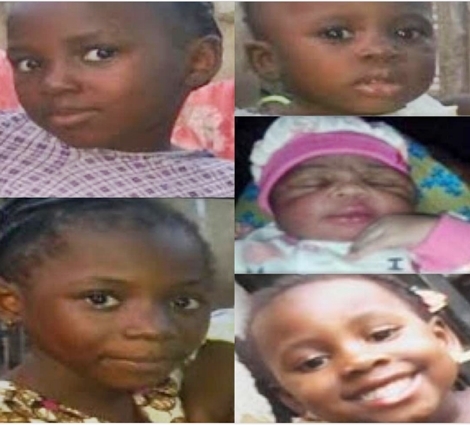 0 Response to "Tears and Sorrow as Five Children are Burnt to Death in Their Abuja Apartment After an Electric Fire (Photo)"